Downtown Parks Conservancy | Why Urban Parks? In preserving our past, we grow our future. 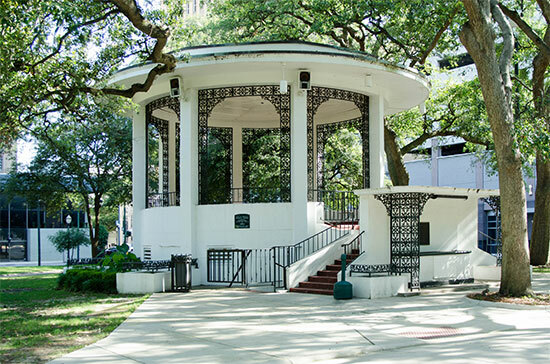 Mobile’s downtown parks are more than just green spaces. As part of our heritage, they help define the character of our community. There are many benefits to preserving and and enhancing our urban parks. Parks help define the shape and feel of a city and its neighborhoods. They also function as a conscious tool for revitalization. In serving as central walking, resting, and meeting places, parks can help revive failing or threatened commercial areas. Parks provide intrinsic environmental, aesthetic, and recreation benefits to our cities. They are also a source of positive economic benefits. They enhance property values, increase municipal revenue, bring in homebuyers and workers, and attract retirees. For those concerned that green spaces may foster crime and illegal activity, evidence now exists that the opposite may be true. When adjacent to residential areas, green spaces have been shown to create neighborhoods with fewer violent and property crimes and where neighbors tend to support and protect one another. Community engagement is the process of working collaboratively with individuals and groups to achieve specific goals. For parks and open spaces, community engagement allows mayors and public officials to directly involve their constituencies in the ongoing design, planning and management of these resources. Just as growing communities need to upgrade and expand their built infrastructure of roads, sewers, and utilities, they also need to upgrade and expand their green infrastructure, the interconnected system of green spaces that conserves natural ecosystem values and functions, sustains clear air and water, and provides a wide array of benefits to people and wildlife. Childhood is a holistic process, different for each individual child. Many children do not learn effectively exclusively within a classroom. They need alternative, hands-on learning environments to match their varied learning styles. Parks can help. People value the time they spend in city parks, whether walking a dog, playing basketball, or having a picnic. Along with these expected leisure amenities, parks can also provide measurable health benefits, from providing direct contact with nature and a cleaner environment, to opportunities for physical activity and social interaction. Urban parks have always been an important setting for arts and cultural programs. Today, parks and the arts have become mutually beneficial: the arts can play an essential role in revitalizing a park, and parks in turn can help solve problems faced by artists and arts organizations. Public parks can be the “engine” that drives tourism in a community. 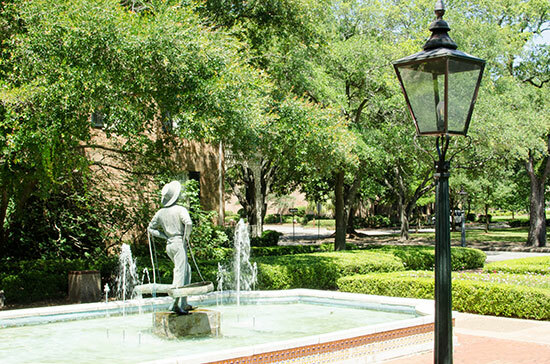 Beautiful historic parks are especially attractive to tourists. They also provide sites for special events and festivals that attract tourists.